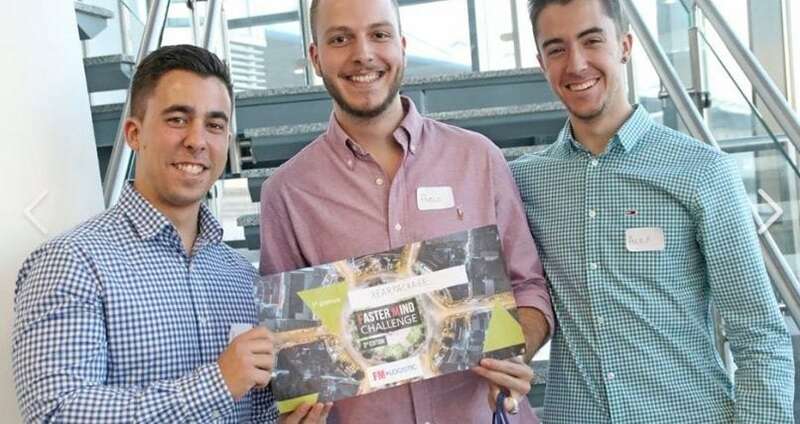 The UCJC Rearpackage team reached the international final of the third edition of the Faster Mind Challenge competition, sponsored by the international group FM Logistic. They reached the final, to be held this May in Paris, after winning the national phase on 13 March. The finalist teams, from Spain, France, Russia and Poland, passed a process in which they competed with another 752 projects driven by a total of 1,881 students from all over the world. The challenge presented for this third edition was set at the end of September 2018. The challenge was to enhance the sustainable development of the supply chain, a real learning opportunity to combine technological innovation with teamwork skills, creativity, business viability and knowledge of logistics activity. The Faster Mind Challenge is an international contest of innovative ideas aimed at students and professionals in the areas of transport and logistics promoted by the multinational firm FM LOGISTIC, an international industry standard who is leading the supply chain of tomorrow.